The No. 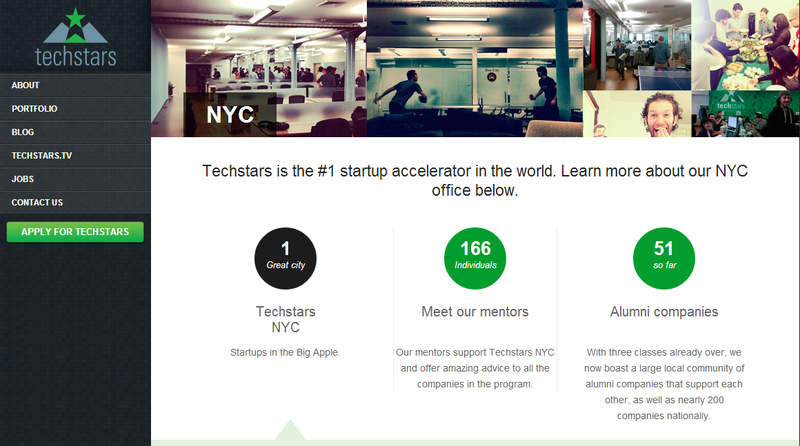 1 startup accelerator in the world, TechStars is a mentorship program located in seven cities, including NYC. The New York branch currently has 166 mentors, including Dennis Crowley, the co-founder of Foursquare, and David Karp, the founder of Tumblr. The program lasts for three months and generally funds technology-oriented companies and companies with a national or worldwide reach. The program culminates with a demo day, which gives the companies a chance to present to venture capitalists and angel investors.